← Monday 22nd June 2015 – A busy afternoon. 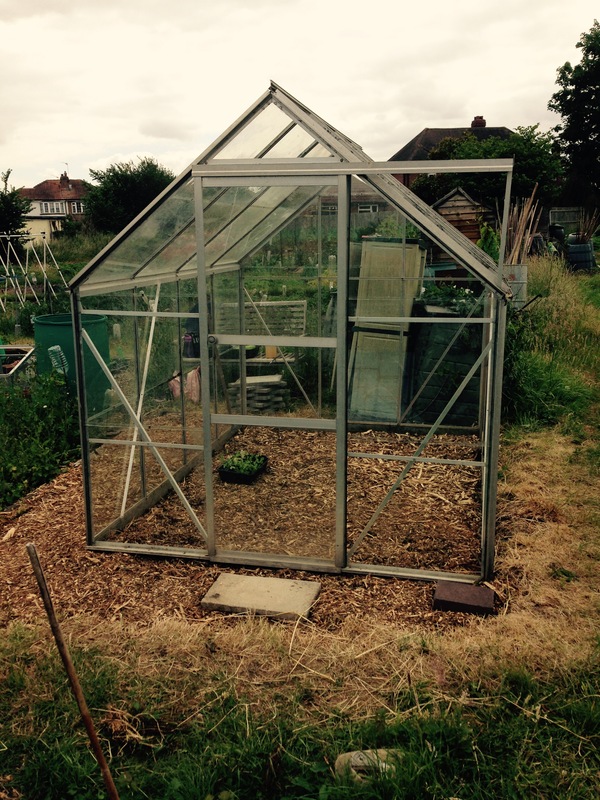 Tuesday 23rd June 2015 – My greenhouse is ready!! I’ve been up my allotment for most of the day today. I got so much done it was brilliant. So if you’re sitting comfortably then I’ll run through what I managed to get done. 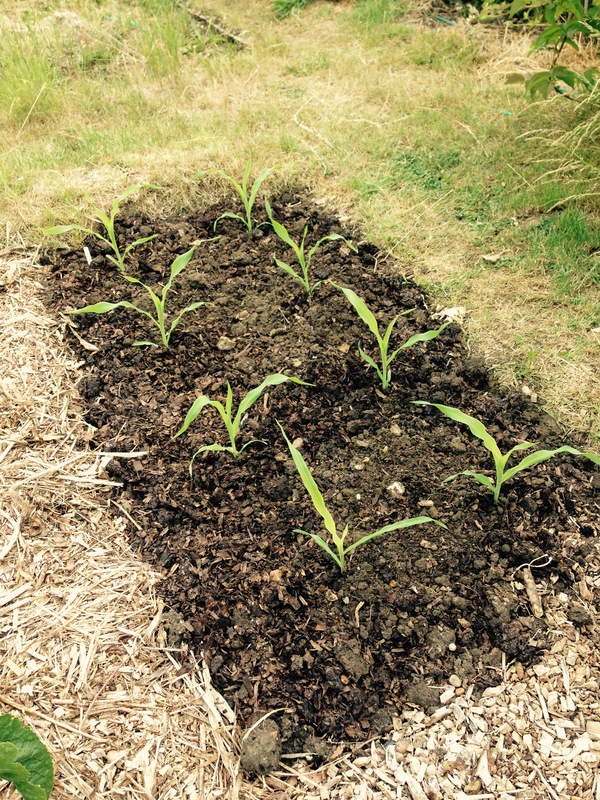 Firstly I planted out 8 Sweet Corn plants. These have been growing really well, and are all about 8 inches tall. They need to grow in a block and as I only had 8 plants, that meant that the block was 4 by 2. It’s not a problem because I had a lovely little bed ready for them to go into. Make sure that when you plant them out that you protect them from slugs and snails. Once they get large enough they won’t be bothered by them. Only 8 Sweetcorn plants this year. Still it’s better than nothing. Hopefully I’ll get some good corn on the cob….don’t forget the tooth picks. I then planted out my final Pumpkin, I haven’t a clue what variety it is though. All the others when out a couple of weeks ago, but this one was a little too small, so I kept it in the greenhouse for a little longer to see what happened. Now that it’s big enough, it can go outside and play with the rest of the pumpkin plants. I then planted out 6 Red Veined Sorrel plants. I’ve got lots at home in my herb patch, but it grows so beautifully and is a perennial, so comes back year on year. 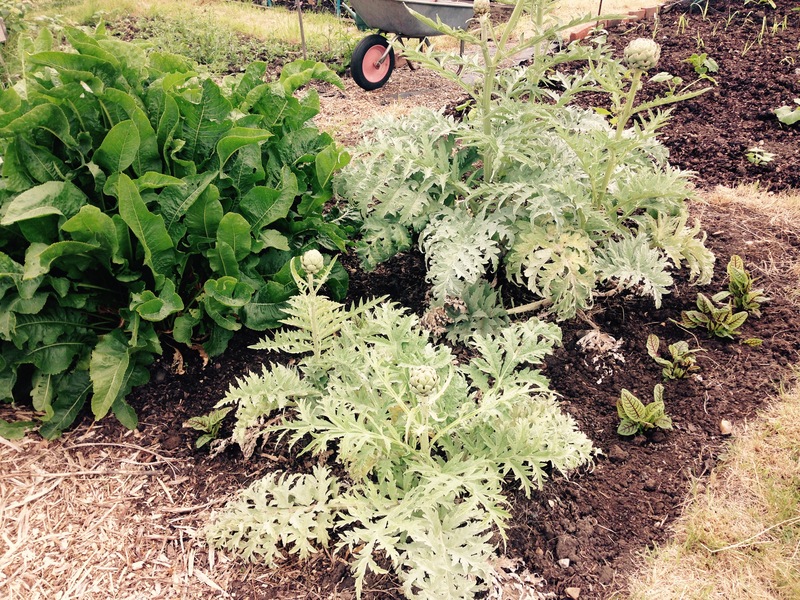 I planted them in the little spaces that I have in the bed where the Globe Artichokes and the Horse Radish are. Hopefully they’ll be happy. Spot the Red Veined Sorrel, go on, have a go!! My sister then joined me at the allotment and we put in all the greenhouse glass. It went in very easily, once you figure out which way the little metal things that hold the glass in place go. They can be tricky little buggers, sometimes it’s like being on the Krypton Factor!! But we did it all, so now I can start putting the staging in my new greenhouse and getting the Tomatoes moved down to the allotment. It’s also a good place to shelter if it starts to rain. At least I’ll have some jobs to do, and won’t have to sit swearing in the car like I usually do. It’s all done and ready for some plants to move in. Once the greenhouse was done, Michelle needed to go, and I stayed for a little longer and continued with the weeding, watering, feeding and trimming of grass. I have 1 bed left to do and then half of my area is then perfect. I’ll sort out that bed tomorrow. I don’t have as long on my plot tomorrow, about 3 hours hopefully. But I think I’d better go and put together one of the stagings for my greenhouse then I can put it in the car and take it down tomorrow. This entry was posted in Uncategorized and tagged claire's allotment, globe artichokes, Horse radish, Krypton Factor, pumpkin, red veined sorrel, sweetcorn, tomatoes. Bookmark the permalink. 4 Responses to Tuesday 23rd June 2015 – My greenhouse is ready!! Is greenhouse envy a sin? Oh well, I’ll add it to the list…. The greenhouse looks wonderful, I can’t wait to see how the tomatoes turn out. Nothing in gardening is a sin. Don’t worry. I’ll let you know how my tomatoes get on in the greenhouse. I’ve nearly filled it up with all it’s staging. It’s looking really good. Wish I could have a greenhouse but my plot is too open to view and it wouldn’t survive the local hoodies! We have some of those adorable hoodies where we live. they make our lives a living hell. And because of their age the police can only do a certain amount.